In 1950 only 41 percent of new homes had no garage, while today 91 percent of new homes have a garage, and 83 percent have a two-car or larger garage, according to the National Association of Home Builders. According to appliance.com, there are more than 65 million garages in the United States. And the garage is the number one area in the home for storage and organization product spending, according to a Peachtree Consulting survey in 2005. 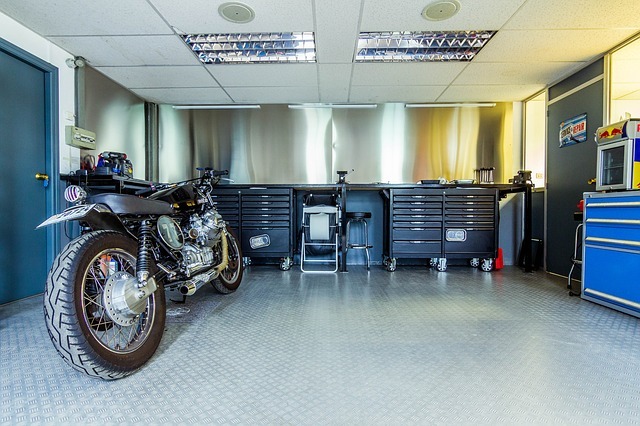 Among the latest trends is “flex space”—oversized garages that can be utilized for multiple purposes such as cars, workshops, kids’ play rooms and more. Just as a home’s outdoor area has been upgraded as an extention of indoor living space, so has the garage. “Homeowners seem to want to make the garage an extension of their living space,” says Wayne Clark of French’s Cabinet Gallery. A well-designed garage offers more than overflow storage and room for parking the car. “Clients are requesting custom-designed mudroom storage, used for sports equipment, coats, backpacks, and shoes. Area experts say the work bench/tool storage area remains a necessity but that today the look and layout can be customized with shelves, backsplashes, kick plates, countertops, casters, and more. “At Garage Solutions, we identify the problems in the garage and come up with solutions,” says McCann. “Our storage system is the strongest and most efficient on the market. The shelf/rack system is mounted to the studs high on walls which allows items to be off the ground and out of the way.” The shelves holds 1000 lbs. for every 4 feet on the top and the rack system below the shelf is used to hang everyday items. Kelly reports that whether a homeowner prefers a simple look in which the cabinetry fades into the background or “a bold splash of eye-popping color on metal,” the options are versatile to match any personal style. Finish colors range from red, nitro orange, bright yellow, mercury blue, hammered silver, and hammered copper. Custom garage cabinetry does more than just beautify the garage. Well-fitted cabinetry protects belongings by keeping out dust and pests and comes in numerous sizes and styles. Customize your cabinets with clothing bars and cedar inside to preserve clothing. Use organized drawers for odds and ends. For additional storage, add overhead shelving. Flooring can be upgraded with a coating or floor tiles to complement the cabinets and create a coordinated, indoor appeal. Color coordination between cabinets, floors, and walls can complement car colors and enhance the overall curb appeal. And don’t overlook the need for additional lighting upgrades with ceiling lights, flood lights, and under-the-counter lights. Kelly reports that polyaspartic, epoxy, and PVC tile are the most common garage floor options. “I prefer the interlocking modular floor tile,” she says. “It adds comfort, hides unsightly stains and minor cracks in a concrete floor, and enhance the overall aesthetic.” She adds that garage floor radiant heating is readily available. Homeowners can build mezzanines to add more floor space and the garage space can be integrated into a smart home system thus creating the same security for the garage as the rest of the home.